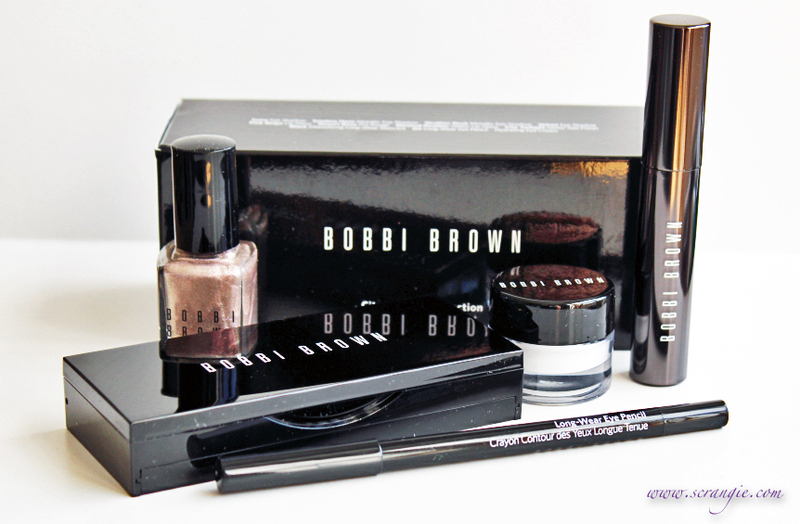 I tried my first ever products from Bobbi Brown last fall. Yep, you read that right. First ever. It's just a brand that never seemed interesting to me, but then they released this City Twilight nail polish as part of a set and I had to try it for myself. See why it caught my eye? It's a shimmery, borderline foily multichrome shimmer. I think I'd even classify the finish as glass fleck, just a very densely packed glass fleck. The base color is a warm, taupe-tinged silver, but the strongest duochrome flash is a pink champagne color. Changing the angle reveals green, pink and orange. 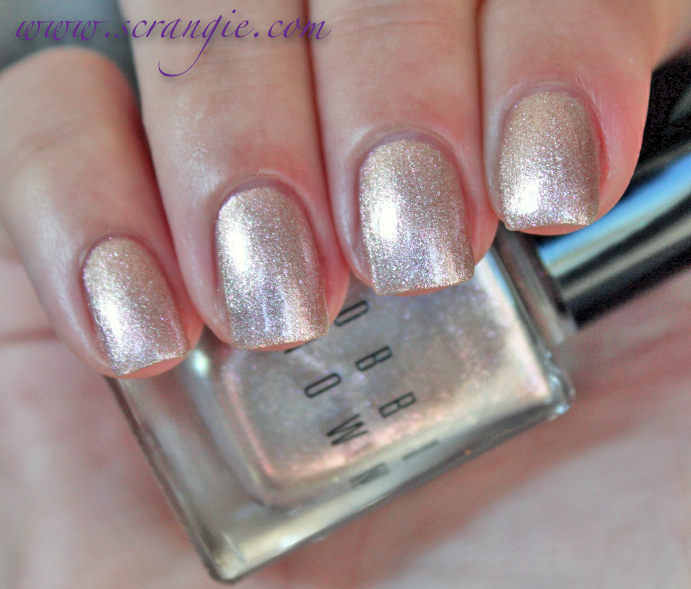 It's an oyster/mother-of-pearl color with lots of glittering shimmer crystals. The formula on it was average. Not amazing, not bad. Workable, but it tended to clump a little if I was too hasty with my coats. Average dry time. Dried glossy. The rest of the set consisted of an eyeshadow palette (eh... too muddy, too sheer), an eye cream (extremely rich! ), a mascara (did absolutely nothing for me) and an eyeliner (AWESOME), but the best part really was the polish. I need to dig this out of my stash and wear it again because I've been craving light, sparkly, iridescent 'bubble' colors like this lately. And yes... that means this picture is nearly a year old. Heh. The only other Bobbi Brown polish I have was part of the same Fall 2012 collection, but I haven't actually worn it yet. Twilight Night. City Twilight is more interesting. I'm pretty sure this color is long gone. I want to say it was a Nordstrom exclusive and only available in the set, but it's probably shown up at a CCO somewhere with the rest of last fall's items. Wow, this is gorgeous! I will have to stalk my CCO! How pretty! 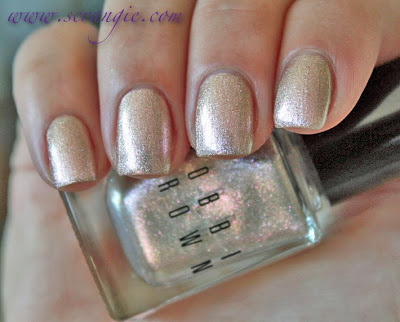 I too, haven't found Bobbi Brown cosmetics to be enticing.The eyeshadows are so boring.This polish is exquisite! I'm a big Bobbi Brown fan, but have yet to try a polish! 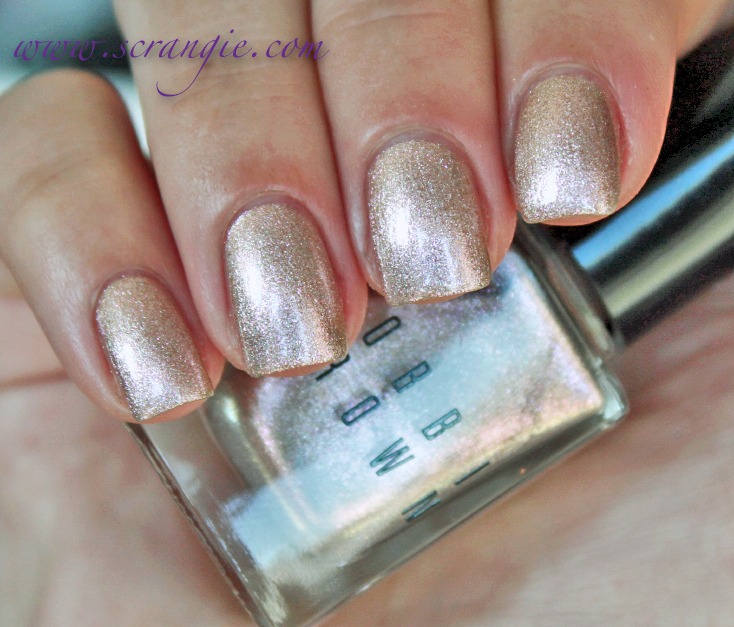 Bobbi Brown City Twilight has such a cool finish --- love the chromatic effect it has on your nails! I'd love to see this over black! I bet that would really bring out the multichrome bling. Oooh! I normally wouldn't buy a color like that but that's beautiful!! !